Visitors to Todmorden Town Hall can find out more about the many hidden stories and spaces of the Grade 1 listed building at the next Total Tour on Sunday 11 March. This fascinating tour offers visitors a look behind the scenes at the iconic building, including a visit to the former caretaker’s flat and holding cell. 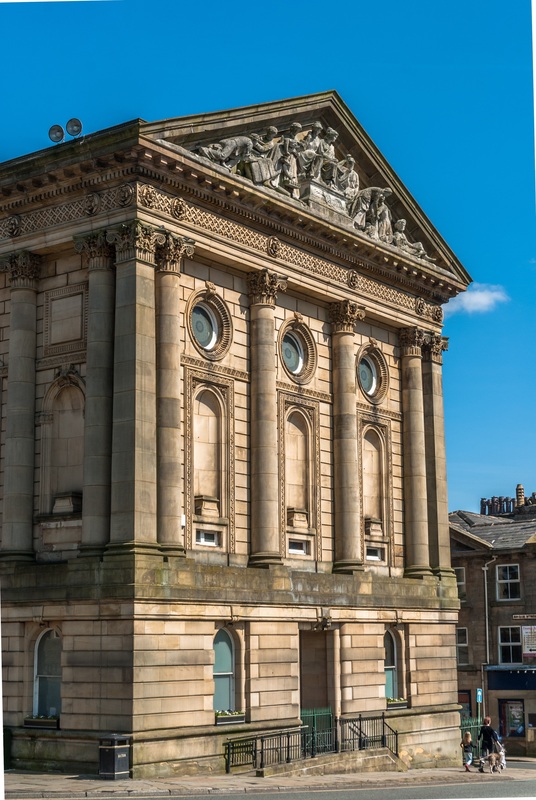 “The Total Tours of Todmorden Town Hall give visitors a rare opportunity to see some of the features of the Grade 1 listed building not normally open to the public. There’s also a taster tour on Sunday 4 March, which is a shorter tour of the building, featuring the ornate ballroom which once featured an indoor water fountain and the elegant staircase. This month the taster tour will focus on the women of Todmorden, ahead of International Women’s Day, and will feature tales of the town famous females,. There’s no need to book for taster tours, just meet at 2pm opposite the Town Hall pediment on Halifax Road. For more information about Todmorden Town Hall and the volunteer led tours please get in touch with Daniel Jessop, Volunteer and Events Co-ordinator, daniel.jessop@calderdale.gov.uk, 01706 548105, 07912 891370. This entry was posted in Heritage. Bookmark the permalink. ← Can you help us cycle the Tour de Yorkshire?